For nearly 20 years, Invisible Fence of Newtown has provided safe, affordable, and effective pet containment systems for pet owners in the Newtown, CT area. From Invisible Fence installation and maintenance to pet care and in-home pet training services, these compassionate and knowledgeable animal containment experts will make sure you receive the best solutions to promote the security and happiness of your furry friends. The high quality of electronic pet containment systems from Invisible Fence of Newtown combined with their outstanding customer service are among the many reasons why you should trust them for all of your pet fencing installation needs. They are a fully authorized dealer and servicer of the Invisible Fence brand, and their experienced and highly trained installation technicians promise to deliver excellent work that will last for years to come. Invisible Fence of Newtown uses only the most up-to-the-minute technology and equipment to ensure proper installation and effective fence solutions that will safeguard your pets from any danger as they run around and play. Enjoy the peace of mind that comes with knowing your pets can roam free in secure outdoor environments by having Invisible Fence of Newtown take care of all of your pet containment system needs. Give them a call at (888) 429-2421 today to speak with a friendly customer service representative about receiving a quote or scheduling a free in-home consultation. 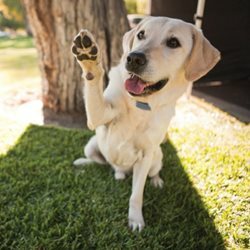 Be sure to visit their website to find out more information about Invisible Fence installation and the many other valuable pet care services they offer.